How to Fill Any Government Job Application form in Mobile ? How to fill job application form. Dear candidates, we can fill any job application form in mobile or in desktop PC, here are the few tips we want to share with you pease note down carefully. 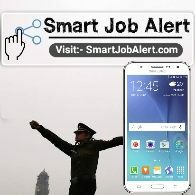 Every government job notification updated here in Smart Job Alert we will also provide apply online link and PDF notification and official website link. 2:- Your 10th + 2 or 10th class mark list. 3:- Your Bonafide or a National certificate. 5:- Graduation degree certificate if you have completed. 6:- Rural or non-rural government certificate. Note:- In sometime of conditions there are also know the also know the certificate needed we also updated with in job post in qualification criteria detail. You need to upload a scan copy of your documents so first of all capture a photo of your documents a photo of your documents clearly with original camera in Daylight. Then scan that particular image with this application it convert your image into photostat print copy. And then save as JPG format into your gallery and upload it on website. This application also support PDF file. Every candidate student should have this application in there mobile for daily use. That's we are providing some tips for filling government job application form if you are facing any problem please comment below we will reach out you shortly. Join also after WhatsApp official group for getting latest job notification in your mobile.